Jay B. Solomon joined Belkin Burden Wenig & Goldman, LLP, as a partner in the Litigation Department. 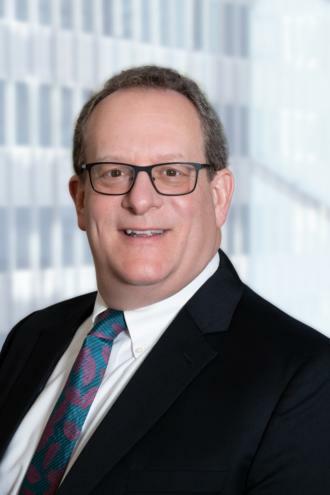 Previously, he was a founding partner of the boutique commercial real estate firm of Klein & Solomon, LLP, where he was the firm’s lead trial attorney since 1996. He has more than 30 years’ experience litigating a broad range of complex real estate, corporate, partnership and commercial landlord-tenant litigation in state and federal courts. Mr. Solomon’s areas of expertise also extend to co-op and condo litigation, representing creditors in bankruptcy litigation, environmental spill cases, defending administrative investigations, labor and employment litigation, RICO cases, and guardianship matters. Mr. Solomon also has significant appellate experience, having appeared and argued many times before the Appellate Term and Appellate Division of the NYS Supreme Court, and the New York Court of Appeals, where he won two unanimous decisions. Additionally, he has testified as an expert witness on commercial landlord-tenant issues, is a certified instructor in commercial landlord-tenant law, and teaches a continuing legal education seminar on Commercial Landlord-Tenant Litigation in New York for Lorman Education Corp. He also volunteers as an arbitrator in NYC’s Small Claims Court and achieved the highest rating in the Martindale-Hubbell Law Directory. Mr. Solomon is admitted to practice in the state and federal courts in New York and New Jersey and is a member of the Judiciary Committee and the Civil Court Section of the New York County Lawyers Association, and is a member of the New York City Bar Association.